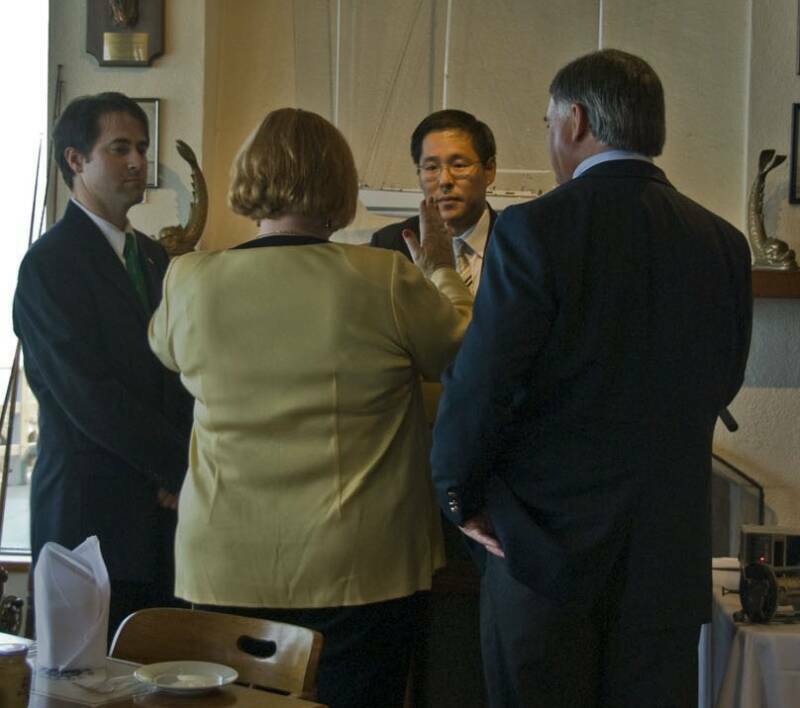 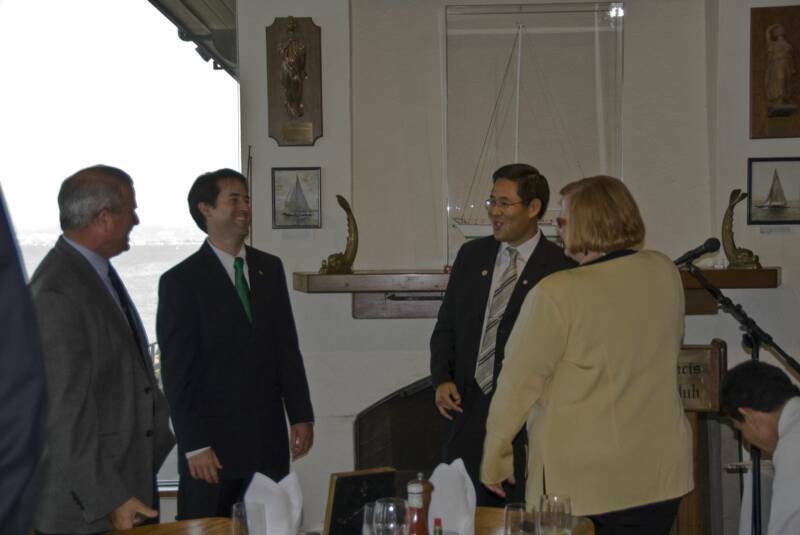 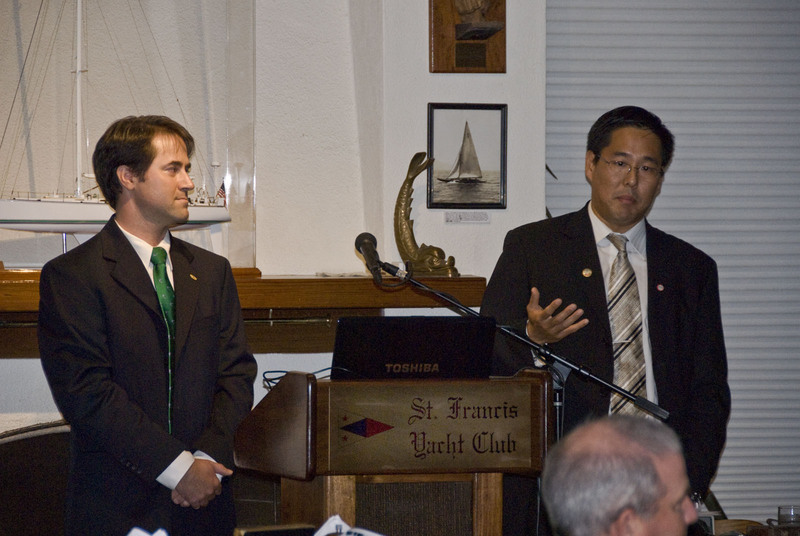 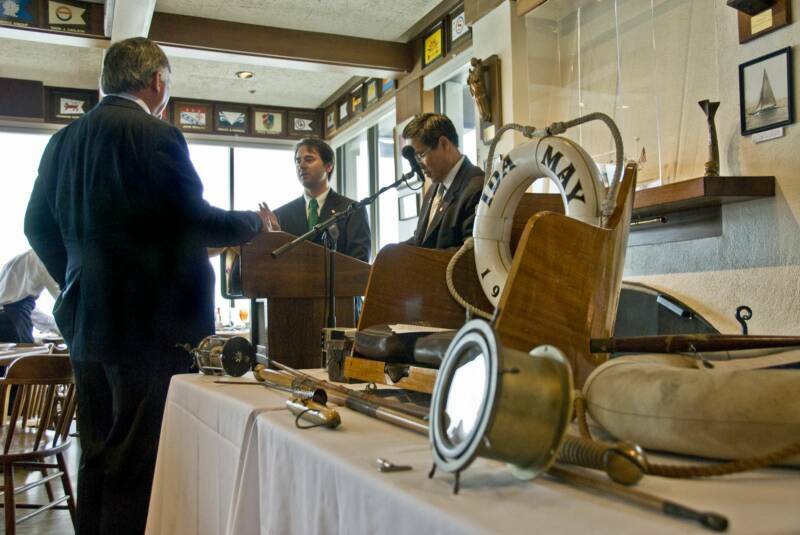 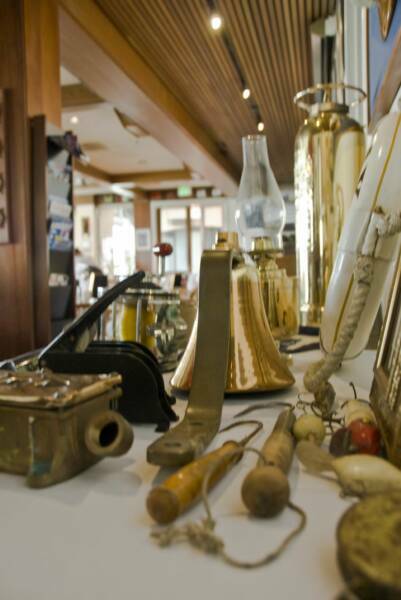 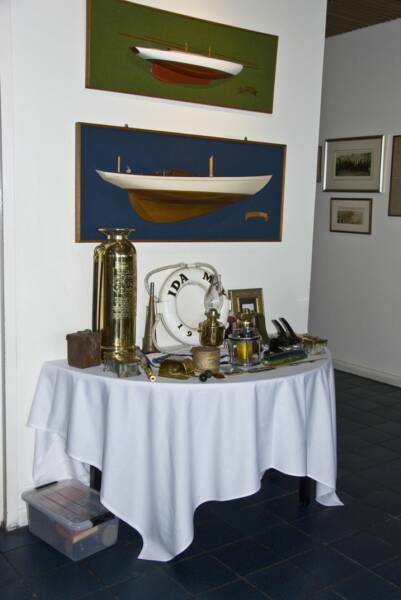 On September 5, 2007, we were invited to give a presentation at the prestigious Saint Francis Yacht Club. 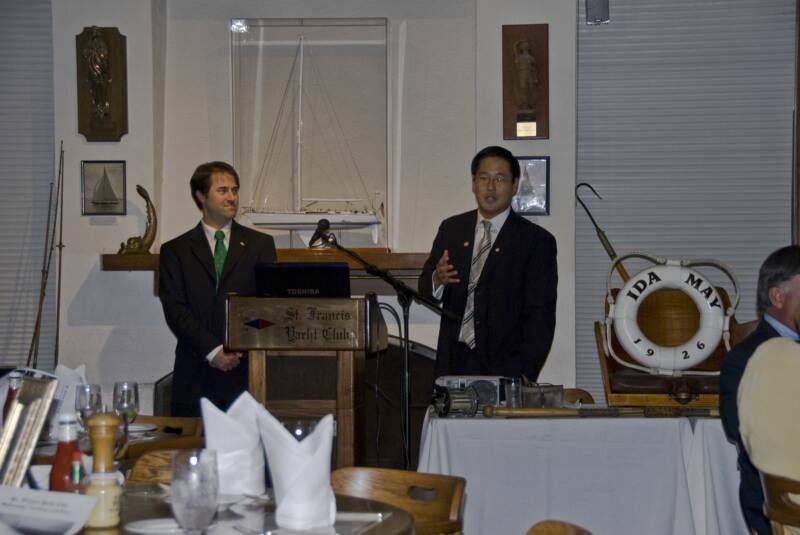 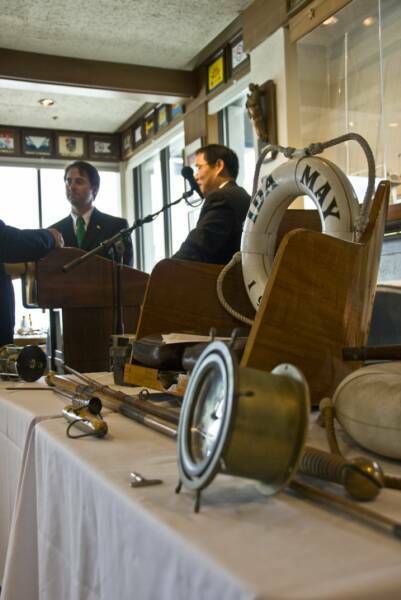 We were asked to discuss the history and restoration of the Ida May. 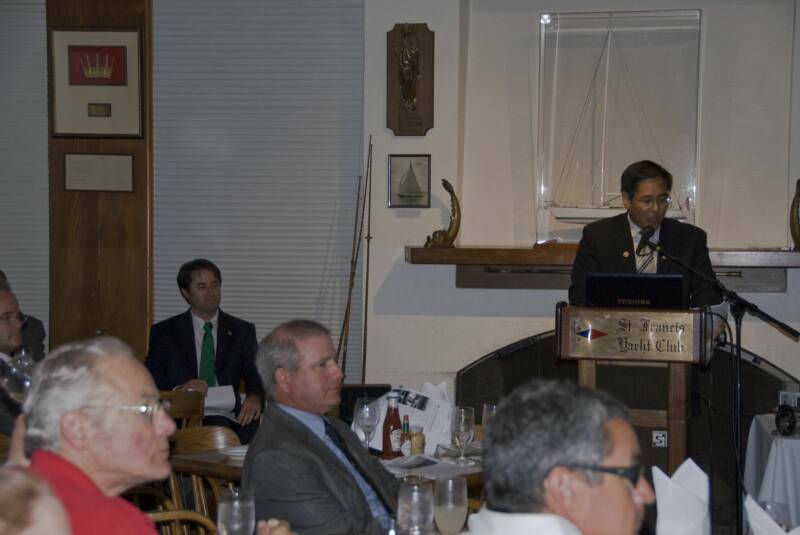 We were most pleased to have Gale and Ted Lingle present. 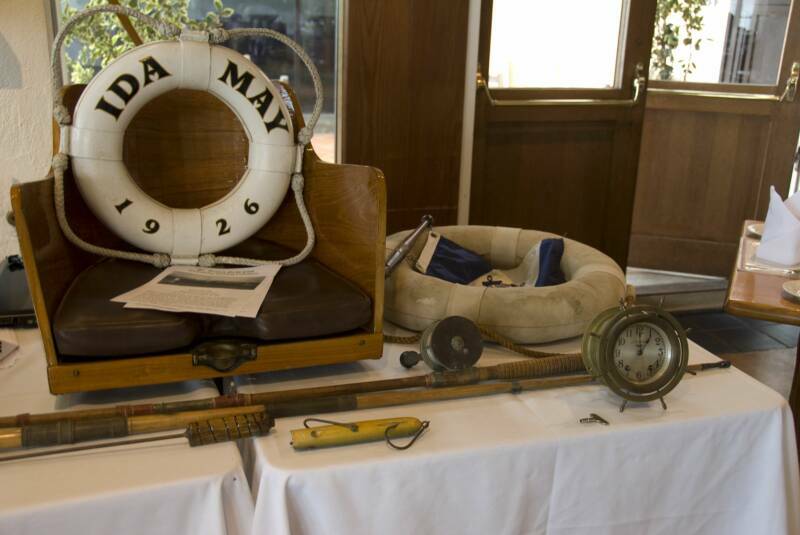 Gale is the granddaughter of the third owner (Jonah Jones, 1901-1976) of the Ida May. 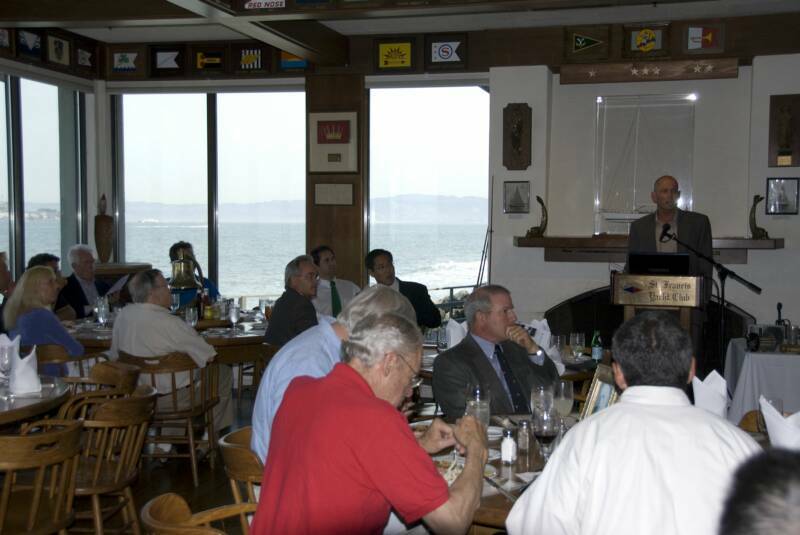 We were also pleased to have in attendance actor, Jeffrey Weissman, who played Stan Laurel at Universal Studios and is best known as "George McFly" in the Back to the Future movies. 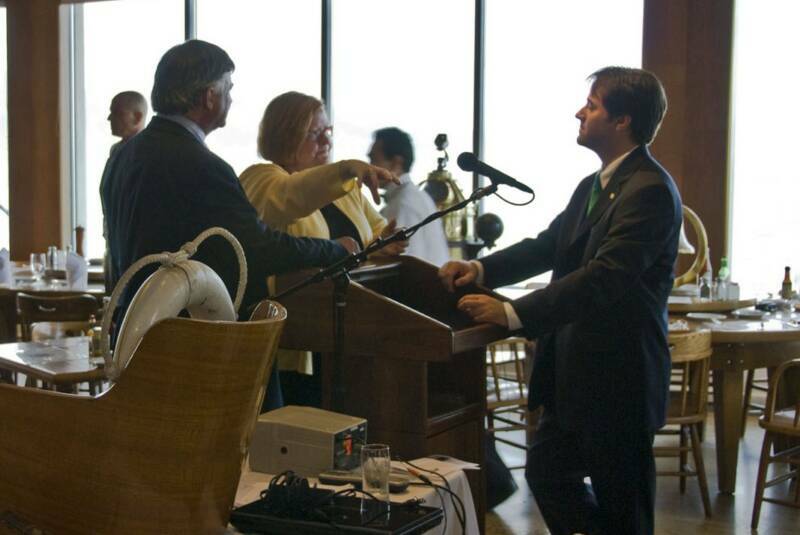 Jeffrey was nice enough to give a hilarious impromptu impersonation of Stan Laurel. 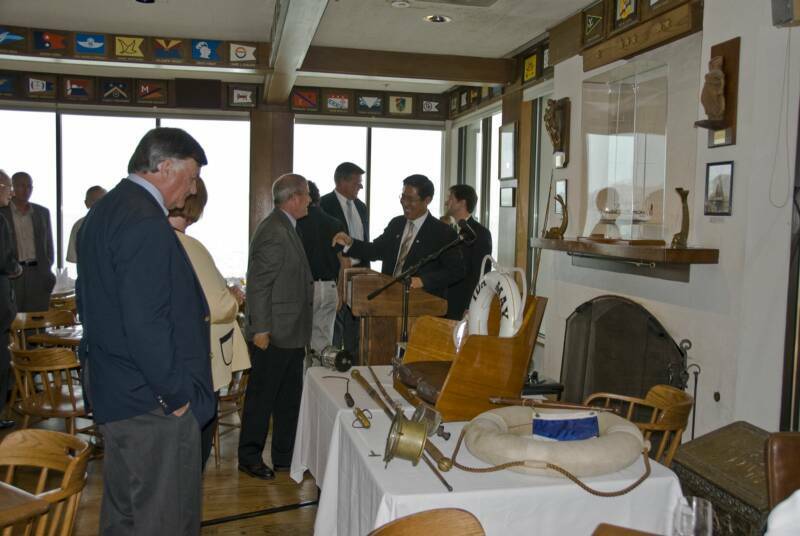 Also, present was Bill Doll, Curator of Small Crafts for the National Park Service and Paul Kaplan of KKMI. 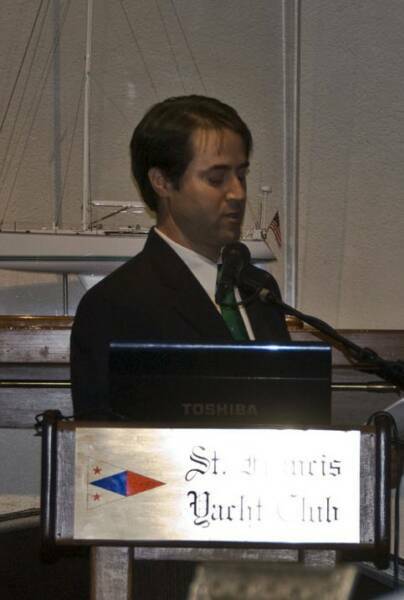 Kimball Livingston providing the introduction. 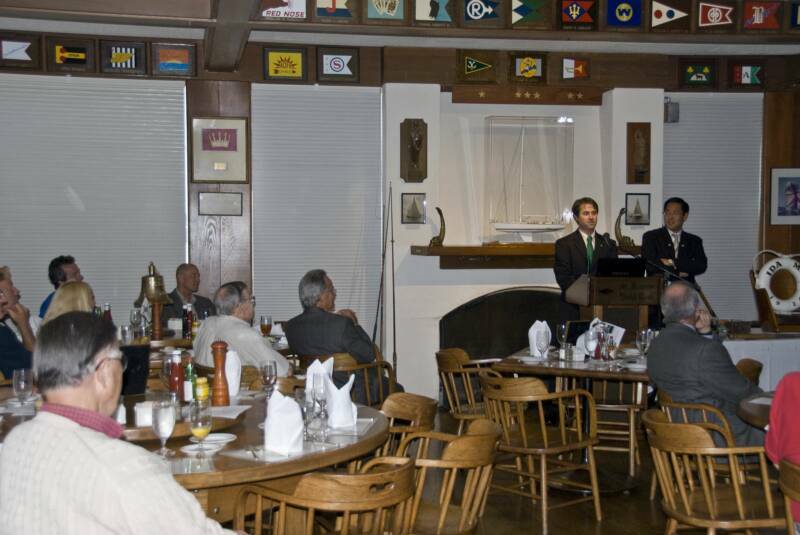 Steve and Bob answering questions. 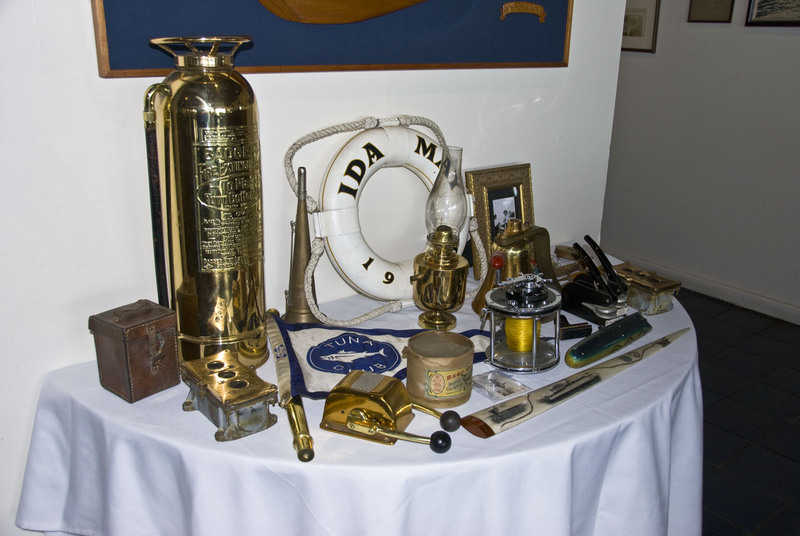 We displayed many of the artifacts off the Ida May. 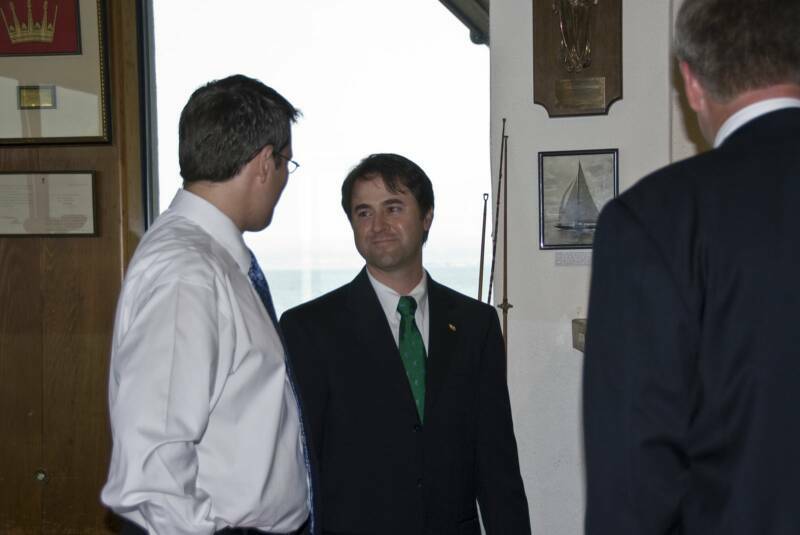 Bill Doll, Steve, Bob, and Gale Lingle. 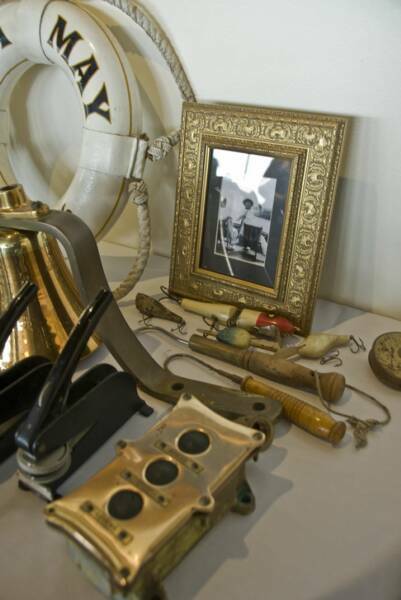 Notice the Ship's bell, vintage fishing lures, fighting chair, and Ship's clock. 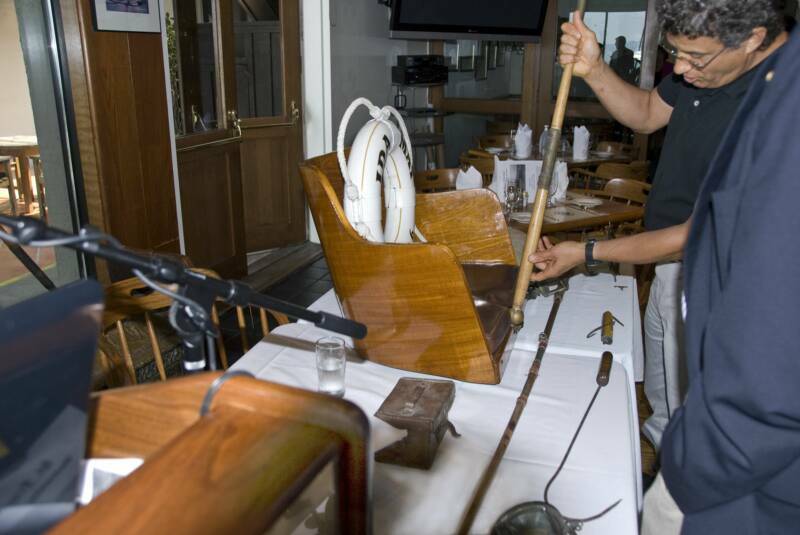 Dr. Allen Lavee testing the fighting chair with an original eighty year old cane rod. 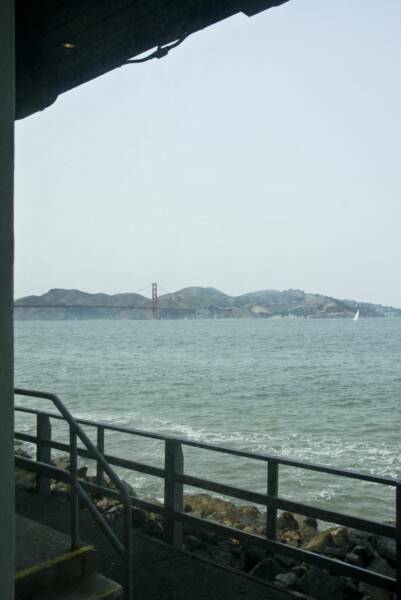 Our view of the Golden Gate Bridge before the presentation. 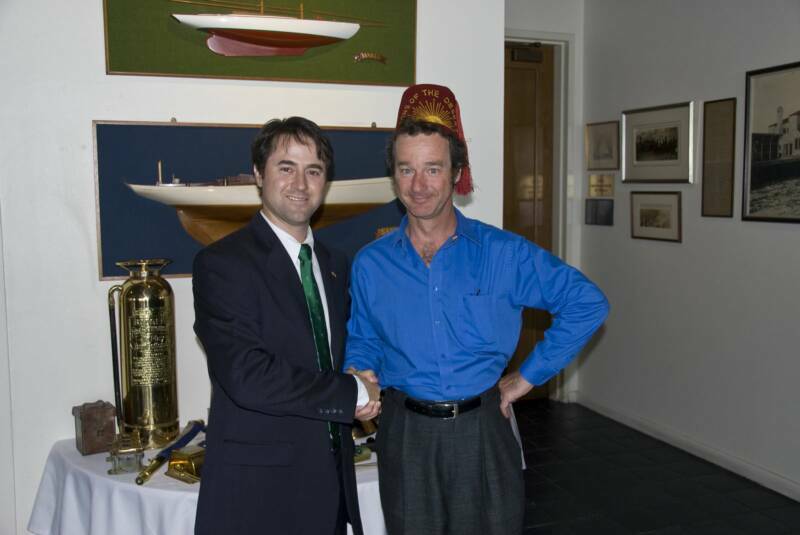 Steve with Actor Jeffrey Weissman wearing an original Fez Hat from the movie Sons of the Desert starring Laurel and Hardy.